What a beautiful day it was to take part in the farmers market! 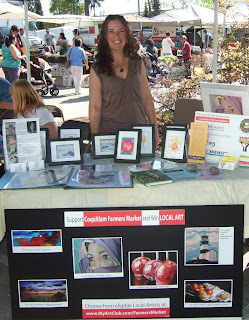 Cam Anderson from MyArtClub set up a great plan to help promote local artists as well as the Farmers Market. He invites a local artist to participate each Sunday and they offer raffle tickets to be drawn at the end of the month.